THE IDEA THAT nature is a holistic unity has been constantly existent throughout human history. The major reemergence of the idea took place in the early 20th century in the name of holism. 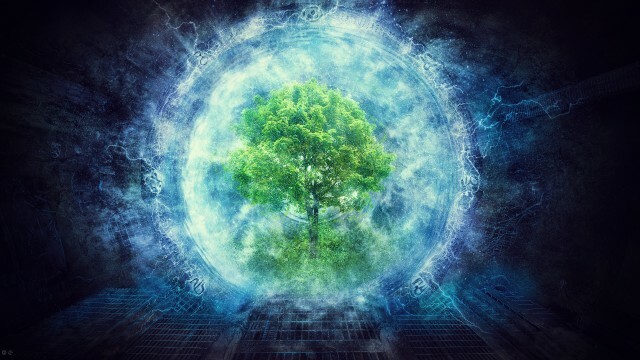 This reappearance of holism became the foundation of the Gaia hypothesis, the most recent recurrence of the ancient belief of the harmonious interconnectedness among natural phenomena on the Earth. Originally stated by the English atmospheric scientist James Lovelock in the 1970s, this hypothesis and related arguments dominated the academy in the second half of the 20th century. Lovelock insisted on the existence of a single planetary ECOSYSTEM in the universe, Gaia. Gaia includes all organisms: flora, fauna, and their surroundings, such as the land, waters, and atmosphere. Moreover, Gaia functions as a single organism, a self-regulating system that is capable of controlling deviations in climate, correcting chemical imbalances, and recovering from any other environmental damage. According to this hypothesis, the Earth is a living organism. Humans, of course, are part of Gaia, and if we become too harmful to our habitat, the system will automatically act to bring us to extinction. The microbiologist Lynn Margulis supported this hypothesis, and the novelist William Golding endowed the name, Gaia, upon it. This concept is named after the ancient Greek Earth-Mother goddess in respect to her dual characteristics: a maternal figure to nurture beings who adapt to the environment and, in contrast, a harsh destroyer of lives who do not obey her governance. This goddess figure is a metaphor of a process that we call natural selection. Using the study of ancient myth and spiritual traditions of Plato, Johannes Kepler, and Johann Wolfgang von Goethe regarding the Earth’s origin, the nurturing power of Mother Earth is revealed in the general beliefs that the Earth is a self-regulatory organic whole and that humans need to adapt to the ecosystem for survival. Gaia became a very popular idea in environmental determinism, the belief that the physical environment is the dominant force in shaping cultures and that humankind is essentially a passive product of its physical surroundings. This idea eventually developed into ethical issues of stewardship, trusteeship, and importance of sustainable living. In the Gaia hypothesis, humans are not the owners, tenants, or even the passengers of this superorganism. We are simply surviving our species’ “allotted span,” as Lovelock put it. The Gaia hypothesis has emerged as the ideas of several cultures from antiquity, but there were no scientific predecessors to prove the accuracy of the theories. Today, Gaia hypothesis is also used among nonscientists to refer to theories of the Earth as a self-regulating organism that inspires humanistic perspectives as well. Some scientists viewed the concept of Gaia difficult to accept as a scientific theory about Earth, and Lovelock’s initial hypothesis encountered much antagonism in this respect. Although Gaia as a concrete concept has its origin in scientific background, it provides a fitting framework to bridge the gap between PHYSICAL and HUMAN GEOGRAPHY as a whole. The core of environmentalism seeks reconciliation of binary divisions, and the concept of Gaia serves as an example of this current in contemporary geography. However, today, the Gaia hypothesis is well accepted in the studies of the Earth, including geography, and no controversy exists. Therefore, Gaia is the origin of the idea we gained that life and the environment enjoy a two-way relationship. The idea of a living Earth—the Earth as an organism—is not new but is quite ancient. With the metaphorical association of Gaia with the goddess and Earth Mother, we have lost this understanding only since the advent of objective science that clearly separated the domains of nature and culture. There were some predecessors who advocated the idea of a living Earth even in the scientific period. James Hutton, the Scottish father of geology, was aware of the Earth as a kind of superorganism. Jean-Baptiste Lamarck, French biologist and botanist, proposed a theory of biological evolution with awareness of the all-encompassing power of the Earth. Goethe suggested that the planet was an organism of the world soul that permeates and gives teleology to the dynamics and metamorphosis of the overall matter. His idea that life on planet Earth is not just a layer over the lifeless ground but makes a dynamic living whole with the planet (as a global organism) influenced the making of the Gaia hypothesis. Alexander von Humboldt, the father of ecology, was the first to take on the study of the relationship between organisms and their environment. And the Russian scientist Vladimir Vernadsky introduced the concept of the BIOSPHERE. He recognized life as “a geological force” and the atmosphere as an extension of life. As a synthesis of these ideas, much truth exists in the Gaia hypothesis. The idea of Gaia is based on an environmental perception of nature that varies from one culture to another. We must understand that nature itself is a culturally formulated concept that has different meanings to different peoples. There are two major subsets in viewing nature: organic and mechanistic. In the organic view, held by many traditional groups, people are part of nature. Every habitat possesses a soul and is filled with organisms and thus requires respectful treatment. On the other hand, most Western peoples tend to recognize the mechanistic view of nature. In this perspective, humans are separate from and hold dominion over nature. Along this line, the environment became an integrated system of mechanisms controlled by external forces according to natural laws and understood by the human mind. The Gaia hypothesis is praised for its questioning the dominant mechanistic view of humans that justifies ultimate human control over nature. The Gaia hypothesis has a close association with ecofeminism as a part of ecotheology. Although the Judeo-Christian tradition elevated a sky-god to a remote place from the Earth, the harmonious relationships between people and the habitat, sky and the Earth, and male and female should not be disrupted. Emergence of teleology was not avoidable as a result of the disappearance of the Corn Mothers and all other female deities. Thus, the Gaia hypothesis subscribes to this spirit of ecofeminism by revisiting an ancient holiness of ecosystem as a whole. In the early 1960s, Lovelock collaborated with the National Aeronautics and Space Administration (NASA) to investigate evidence of life on Mars. In an effort to design instruments to detect the presence of life on Mars, the environmental differences between the Earth and Mars led Lovelock to think about what constitutes life, and how it can be detected under varied circumstances. Lovelock hypothesized that the most general characteristic of life was that it takes in energy and discards waste products in return. He also assumed that living organisms would conduct cyclical exchange by using the planet’s atmosphere, as organisms on the Earth breathe in oxygen and expel carbon dioxide. According to this hypothesis, life on Mars would also leave a substantial chemical signature on the atmosphere. It could probably be detected from the Earth, so Lovelock thought that it would not even be necessary to send a spaceship. This Mars question inspired Lovelock to concentrate on the Earth and the nature of its atmosphere. weak Gaia and strong Gaia. Weak Gaia is the assertion that the Earth’s climate and surface environment are actively regulated by animals, plants, and microorganisms. Strong Gaia is the unashamedly teleological idea that the Earth is a superorganism that controls the terrestrial environment to suit its own ends, whatever they might be. On this, all humans and other organisms are mere icing on the Earth. Lovelock seems to favor strong Gaia. He believes that it is useful to regard the Earth not as an inanimate globe of rock, liquid, and gas driven by geological processes, but as a biological superorganism, a single lifeform, a living planetary body that adjusts and regulates the conditions in its surroundings to suit its needs. According to Lovelock, the Earth behaves as if it were a superorganism, which is composed of all the living entities and of their material environment. When he first came up with his Gaia hypothesis, this new idea caused disputes among scholars as much as it impressed people around the world. Gaia has even grown out of scientific research into the realm of humanism in a short period of time. The Gaian perspective of the Earth provides the parameters for species survival by focusing on powerful resilience against any forms of disturbance. There are no special roles assigned to humans in the concept of Gaia. The thesis is an Earth-centered perspective, and humans have to find their place to adjust within the natural order set by the Earth. Humans must respond in collectivity to unwritten laws of Mother Earth, recognizing themselves as a tiny piece of a puzzle to compose the Earth. This understanding also delineates several concepts such as deep ecology and transpersonal philosophy. The Earth started out as a self-regulating organism, and humans were supposed to adapt to their environment. After several millennia, however, this power relationship has been transformed in many ways—this is why it is important to consider the interaction between Gaia and humanism today. There are new dimensions to the Gaia hypothesis as humans increase their impact on the Earth. Humanization of the Earth is continuing throughout history, and this fact offers a variety of case studies of our places on the Earth. Today, with the rise of technology, humans began to obtain more dominant roles within the Gaian circle, shaping the cultural and physical landscapes and impacting habitat through the exploitation of resources. Keeping balance with other organisms, each cultural group has developed its own ways to understand nature and how humans should relate to it. Western scientists describe Gaia as a large and systematic integration of biophysical and economic phenomena. However, in a simpler and truer term, the reality for most humans is a mosaic of culture-bound worlds, each seeking to negotiate values of social and ecological integrity into eventual global integration. New research possibilities have been opened by this discourse. Gaia hypothesis certainly inspires us to rethink and redirect this scientific society, and reflecting upon the mythological, religious, and aesthetic origins it contains is of vital importance today. It is not a mere nostalgia toward ancient ideals, but exploring Gaia means recognizing the potential to help the world from the ecological crisis we, human beings, have brought on by ourselves. Lovelock recalled the cold neglect from the professionals to the Gaia hypothesis that lasted until the late 1970s. Then the Gaia hypothesis began to be highly criticized in the late 1970s by many scientists for being teleological, indicating that the hypothesis is based on a belief that all things have a predetermined purpose. Teleology in a Christian sense often emphasizes the embodiment of God’s plan on the Earth. Lovelock experienced severe difficulties with many scientists who considered the theory teleological in that it required foresight and planning by biota. It is in this venue that the Gaia hypothesis inevitably raises the issues of teleology that were revealed by criticisms from scientists: Whether nonhuman beings, such as ecosystems or evolutionary processes, can have a specific “purpose.” Lovelock states that his Gaia theory demands responsiveness in the systems, but it does not include awareness, foresight, or intention. The response of organisms is always automatic, and natural selection divides the fate of those that are fitted or not for the conditions. The Gaia hypothesis was very critically received, in particular by the molecular biologists Richard Dawkins and Ford Doolittle. They argued that organisms in this theory would require foresight and planning and could not act in concertation. Scientists Dawkins and Doolittle denied the possibilities of the evolving feedback loops that stabilize the Gaian system. They argue that as Gaia cannot reproduce itself, it cannot be alive. Gaia was also objected by the climatologist Stephen Schneider and the geochemist H.D. Holland. They also claim that the theory is not scientific enough because it is impossible to test it by controlled experiment. In 1988, Schneider organized a Gaia conference, a meeting of the American Geophysical Union solely to discuss Gaia and its plausibility. This conference terminated teleologism associated with the Gaia hypothesis. Lovelock presented a new version of the Gaia hypothesis from which he abandoned any attempt to argue that Gaia intentionally or consciously maintained the complex balance in its environment that life needed to survive. This new hypothesis was more acceptable for the scientific community. Lovelock supported his new hypothesis with the metaphor of Daisyworld. Using computer simulations of the Daisyworld parameters and a mathematical approach with evidence, Lovelock proved that the controlled stability of the climate by life and the idea that the Earth as a self-regulatory organism should not be referred to as teleological. The new Gaia hypothesis stated that Gaia was homeostatic, that is, that the biota influence the abiotic world in a way that involves homeostatic feedback, and it convinced Lovelock’s contemporaries. During the Gaia conference, James Kirchner, a physicist and philosopher, suggested that there is not one Gaia hypothesis, but several hypotheses. He then described five of these: Influential Gaia, Coevolutionary Gaia, Homeostatic Gaia, Teleological Gaia, and Optimizing Gaia. After initial criticism, the Gaia hypothesis is now considered an essential part of ecological science, proposing the planet as an organism to be the object of both ecological and humanistic studies. Today, most ecologists are confident to characterize the biosphere as a superorganism and consider this hypothesis as relying on the concepts of biosphere and biodiversity. After experiencing the series of struggles, the Gaia hypothesis is a fully recognized entity in ecology in this century. with the icing on the cake; the basis of life—what matters for a living planet—is microbiological matters, over which humans have no control. This raises major questions about responsible behavior and living of individual humans and social groups. Gaian thinking suggests an alternative to the human-centered view that the world is mechanistic and that everything can be reduced into “parts,” which associates life with the laws of physics and chemistry. The new view emphasizes the interconnectedness of the living world as a unitary organism. According to this perspective, this world is not the world of machine, but the world of organism. Thus, this understanding enhances our awareness that we cannot treat nature as a machine and immerse ourselves in the world as participants. In this way, the Gaian worldview can influence the making of our ethics that bridge humans, ecosystems, and the planet. The Gaian view may make it possible for humans to see themselves as significant (because we are conscious and self-reflexive) parts of a symphonic interaction, which becomes the meeting ground of this scientific theory and humanistic studies. An understanding of Gaia could even become the focus for religious studies, thus influencing a change in human impact on the planetary process. Lovelock explains that Gaia means a religious as well as a scientific concept, and in both spheres it is manageable. Therefore, God and Gaia, theology and science, even physics, biology, and humanities, are not separate, but they create a unitary way of looking at the world.